A good employee handbook helps build your agency's culture. If you’re taking our advice to regularly review your employee handbook (or perhaps creating one for the first time), you may be wondering what process you should follow when writing it. 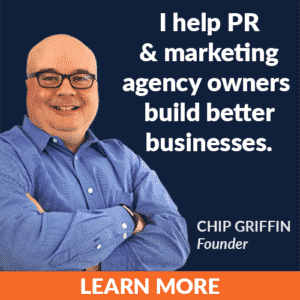 Gini Dietrich and I have discussed on the Agency Leadership Podcast how important it is to get good legal advice, so you might assume that I would recommend working with your lawyer on this project. And I do want you to engage your lawyer on the employee handbook. But only after you have written a solid draft. Your agency’s employee handbook has legal implications but should not be a legal document. That’s an important distinction to consider. The people who will spend the most time looking at the employee handbook are your employees. 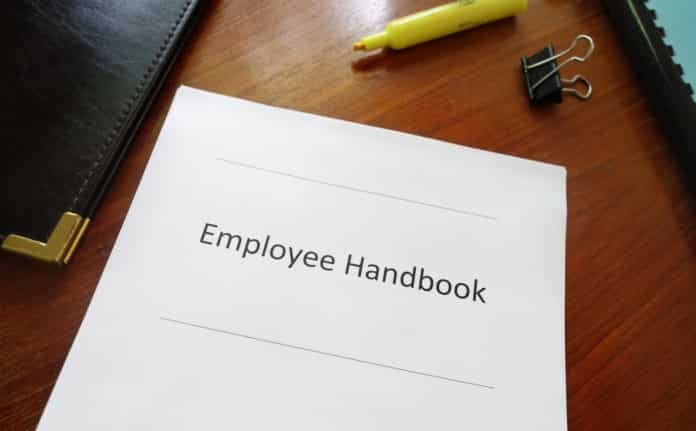 A well-written employee handbook will help your team get answers to basic questions like the rules around taking time off, requesting expense reimbursements, or understanding the dress code. Many times, employees don’t want to go to their supervisors to find simple information. Having a good handbook helps to make those employees more comfortable and head off many issues that may occur. If your handbook sounds like a lawyer wrote it, however, you will lose some of its benefit. While lawyers do provide necessary and valuable services, they tend to write like lawyers. Go figure. That’s fine for contracts or other documents that people expect to see crafted in that style. But it doesn’t work well for materials that should be simple, clear, and engaging. Which is exactly what you want from your employee handbook. Instead, you want to leverage your own communications skills to draft a document that provides the answers to the questions your employees want to know. You need to convey important policies in a no-nonsense way so that employees understand your expectations and can easily see what guardrails exist. If you have a human resources consultant on your team, they can be invaluable in helping you to think through the key decisions you need to make in this process. Experienced HR professionals come to the handbook process with a good understanding of what employees expect, what has tripped up previous employers, and how to navigate tricky topics successfully. Once you have written a handbook that clearly conveys your vision and rules, then you need to allow your lawyer to give it a final vetting. You may be wondering why I suggest engaging your lawyer at the end of the process rather than the beginning. It’s natural to assume that if you are going to have your attorney involved that you may as well let them drive the process. After all, they probably have employee handbook language that they have previously used and can simply recycle for you. The handbook needs to represent your voice and match your agency’s culture. Documents for employees need to be written in plain English, not legalese. Lawyers charge by the hour. And they ain’t cheap. When you get the final legal vetting of your handbook, make sure that you are working with someone who has experience in employment law. It’s great that your aunt is a lawyer, but she does real estate deals, not labor issues. If you’re going to pay a lawyer to review your employee handbook, it ought to be one who understands the subject matter. Does anything in the employee handbook draft conflict with federal law? If you operate in more than one state, are all of the applicable regulations addressed properly? Have you done anything to limit your flexibility in handling employee issues in the future? Is it clear that the handbook is not a contract and can be changed by you at any time? Does the document serve to reduce your risk to the greatest extent practical? Just as your agency’s clients are free to accept or reject whatever advice you give them, you have the same right with the legal guidance you get. Even when your attorney may be technically correct, you need to understand whether the legal value of certain language outweighs any negative impact on employees. Don’t be afraid to ask your lawyer how much benefit a suggested edit actually provides. Often lawyers will put language in documents to address one-in-a-million scenarios that they have never personally experienced. It’s not their fault. They are doing their job to protect your backside — and, by extension, their own. 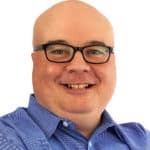 When you have your final draft and are ready to send it to your employees, you need to be comfortable that it doesn’t just reduce your risk, but also conveys the message that you want to send to your team. Good collaboration — at the right time — with an expert in employment law can help you create a better employee handbook that will help simplify management, assist recruitment, and boost retention by creating an agency culture that matches your leadership vision.